The Boy Scouts of America is the premier leadership development organization for youth in the United States of America. The youth leadership training continuum represents the scope and sequence of leadership training courses available to youth members of the Boy Scouts of America. Courses are available for youth ranging in age from 11 through 20, delivered in a range of engaging methods using case studies, games, discussions, and experiential education models (click HERE for more). Provides an introduction to leadership skills for youth in Boy Scout troops. The training course is delivered to the youth of the troop by older and more experienced youth as soon as a young person has been selected by his or her peers for a leadership position. Youth are introduced to the skills of leadership and the tools they will use to implement their vision of adventure and leadership in their role as a youth leader in their troop. The National Youth Leadership Training (NYLT) conference is a leadership training course delivered by the local council to help youth further develop their capacity as leaders. The leadership skills introduced in ILS are developed in greater detail, and the week long training course delivers the skills by modeling a month in the life of a Scouting unit. Youth who function in leadership roles in their troop or crew will benefit from the experiences developed in this course. The Kodiak Challenge is an adventure that pushes the boundaries of every participant— an experience that will encourage a young person to try new things beyond his or her comfort zone. It is an experience, but it is grounded in the application of the leadership skills learned in ILS, NYLT, and/or NAYLE. It is, as is all of Scouting, an adventure with a purpose. Participants design and implement an adventure of their choosing, and through the assistance of a Kodiak guide, explore the leadership skills in the context of their adventure. core elements of NYLT to make their leadership skills intuitive. White Stag was founded on the Monterey Peninsula in 1958, and is accessible to Troop 115 at our local Camp Cole. 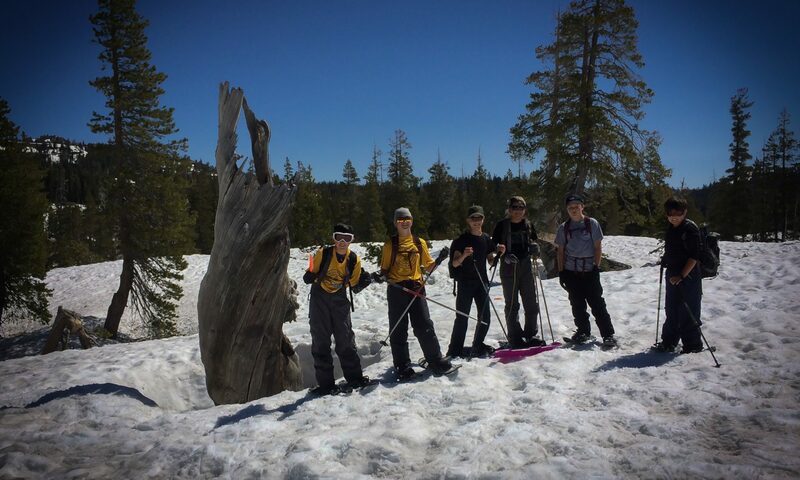 The program recognizes that youth learn best when their whole body and mind are engaged, providing a hands-on, outdoors, physically challenging experiential education focus. The staff create an environment where it’s safe for youth to try out new behaviors, to be the best they can be, teaching that the opposite of success is not failure, but to quit. Mirroring the real world, White Stag offers a coeducational learning opportunity. We take a holistic approach to learning, giving participants an experience that affects their hands via outdoor skills, head via leadership skills, and heart via our spirit and traditions.